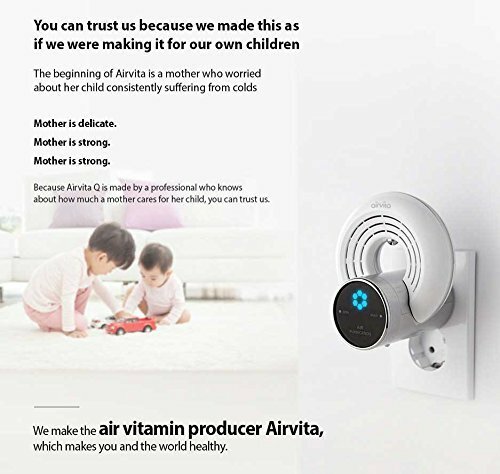 AirVita is like a vitamin for the air in your home. AirVita's oxygen ion generator uses state-of-the-art, complex ionization technology called AICI (AirVita Ions-ozone Complex Ionization) which generates a large amount of anions in the air via a low-pressure potential difference mode which identifies the optimum ion combination to produce. It is more effective than the plasma and corona technologies found in most negative ion air purifiers. AirVita generates powerful but harmless sterilized ions (OH-hydroxyl group, HOO-hydroperoxy radical) that kill bacteria and remove unpleasant odors. The name AirVita is derived from its function of creating healthy air. Four Functions of AirVita 1) Health Improvement - AirVita prevents modern day diseases and refreshes your mind. 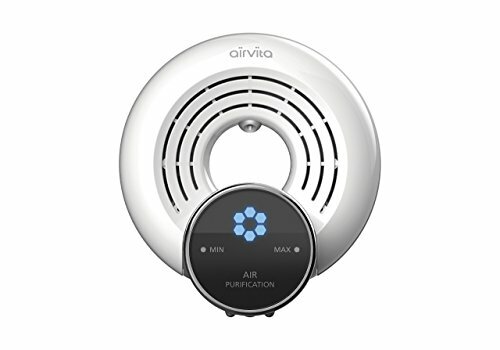 2) Air Purification - AirVita keeps the air clean and fresh. 3) Anti-odor - It dissolves different smells from cigar/food/bathrooms with anions, thus creating a pleasant indoor environment. 4) Antibiosis - It removes viral germs and bacteria in air. Thus it is perfect to be used in close spaces or houses with pets or carpet. 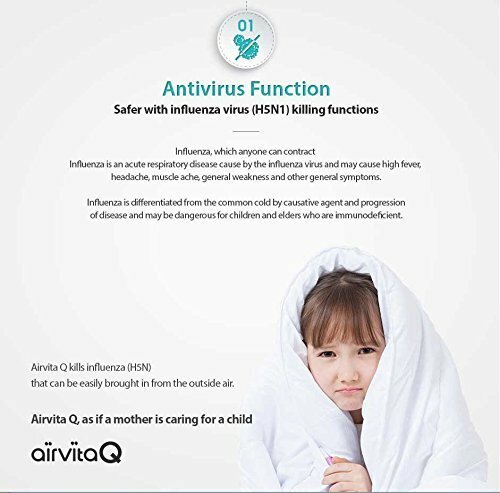 5) For Everyone: Airvita Q is suitable to adults, children, and other family members who need fresh air. 6) Easy Control Design: Airvita Q can be used easily by everyone. Depending on indoor air conditions, you can turn the dial left or right simply to change the mode. Compact size can be used in the living room, Office, bedroom, study, bathroom, Kitchen or just about anywhere. Airvita keep your air clean and fresh. It kill germs in air and eliminates odors from food, smoke,chemical, paint, carpet, pets, and more. With AirVita breathing in this anion and oxygen enriched air allows humans to extend their lifespan by a couple of decades. The stylish design will match any interior decoration and it operates silently. The 360 degree rotating plug fits perfectly into all types of sockets. Your AirVita air purifier will last for years. It can be used 24 hours a day, 365 days a year and it only costs INR 7 per month to run. AirVita is very cost effective. There are no replacement filters to purchase, just rinse it out with water once per month.